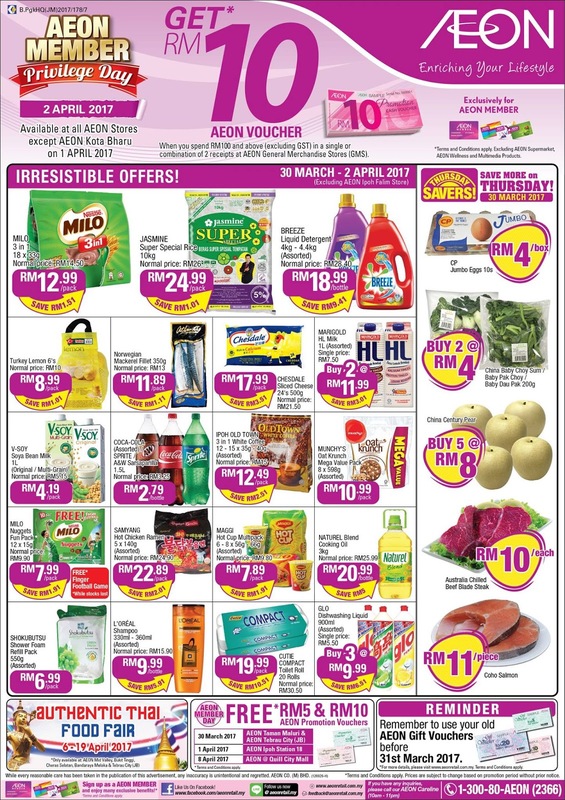 Visit your nearest AEON Store and enjoy the Irresistible Offer from us! Promotion valid from 30 March until 2 April 2017. Share the good news out and see you there! Excluding AEON Ipoh Falim Store. We Care For Your Tomorrow! 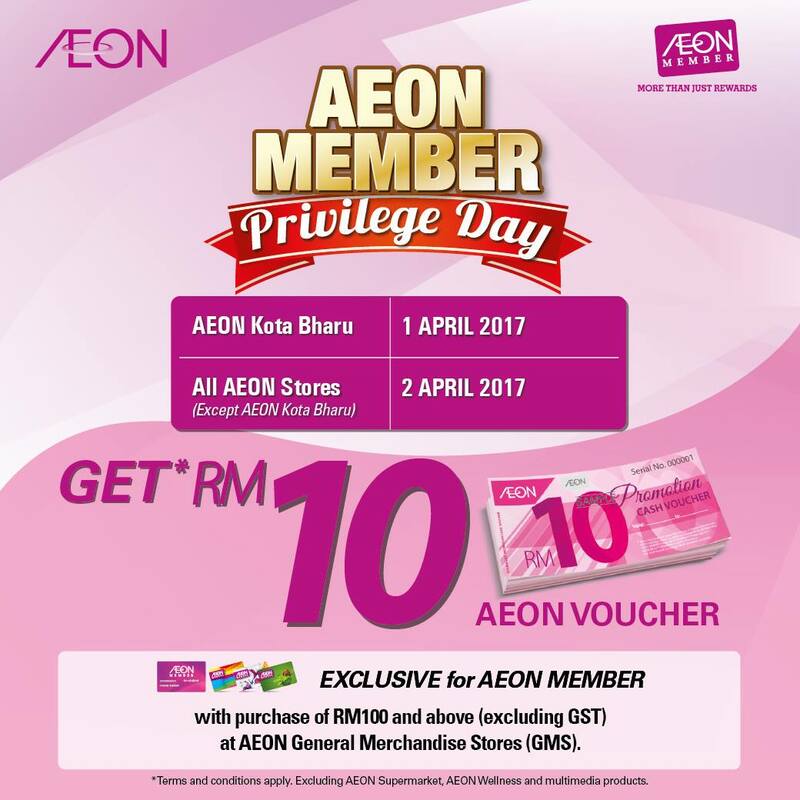 AEON Wellness present you the 4 Days Specials promotion valid from TODAY until 2 April 2017. 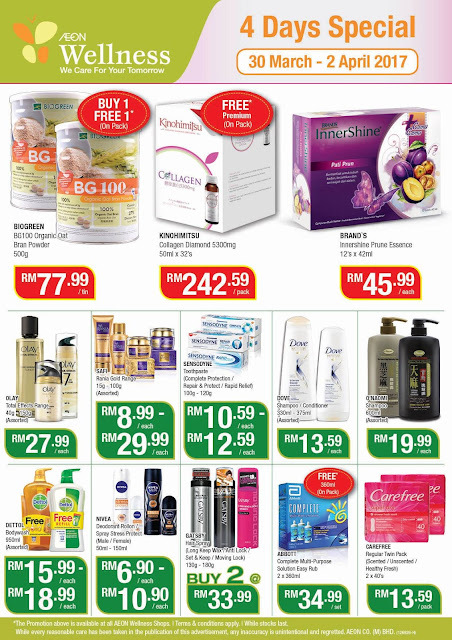 Visit your nearest AEON Wellness Shop now! It is rewarding to shop ahead at AEON Stores! Get* RM10 AEON Cash Voucher when shop during AEON MEMBER Privilege Day on 2 April 2017 (except AEON Kota Bharu on 1 April 2017) AEON General Merchandise Store (GMS).